Join The Friends of Old Trinity Cemetery for Fall Visitation Day. Learn about the cemeteries latest discoveries and experience our history come to life when we get a visit from our Guest From the Past. 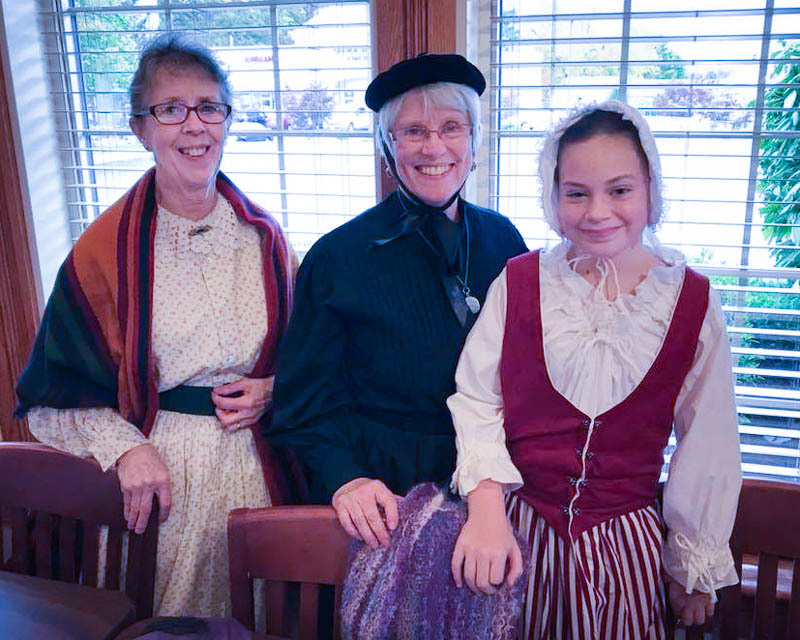 Our 2017 Guest From the Past was the young Mary Hollingsworth portrayed by Hanna Olson. In the center is Jane Ward HTC president and on the left is Ann Horvath HTC caretaker. The 2018 Spring Clean Up Day was a success! Jane Cohen raking the leaves from the Warfield grave. 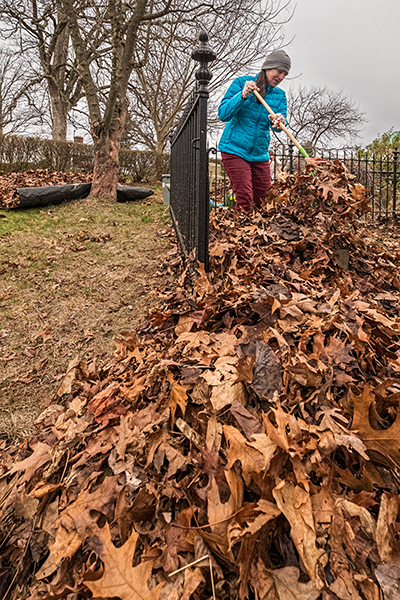 Jane Cohen, long time supporter and Friend of Old Trinity Cemetery hard at work during the 2018 Spring Cleanup Day. We are grateful for all who showed up and helped us maintain the cemetery and help keep it from going back underground.